By the time your necktie collection is growing and when you are wearing ties on a more regular basis, you may want to think about getting yourself a necktie accessory to hold your tie in place at all times and prevent it from getting in your way when you eat, work or play. 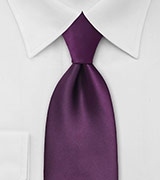 Basically, there are five kinds of necktie accessories – tie bars, tie clips, tie tacks, tie chains and tie straps – made of different types of metals, including gold and silver, or plastics. 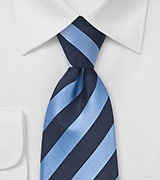 The tie bar – also known as a tie slide – is a thin piece of metal that you slide across the middle part of your tie in order to attach your tie to your dress shirt. As you can see on the left, tie bars come in all sorts of different shapes: There are the plain ones such as the first tie bar at the top, some oddly shaped ones such as the second one or even some really creative ones such as the fountain pen tie bar at the bottom. 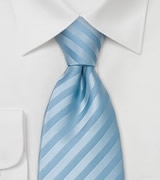 The tie clip – also known as a tie clasp – is very similar in use to the tie bar. Instead of sliding it across, though, you would clip it horizontally across your tie, thus attaching it to the dress shirt you are wearing. 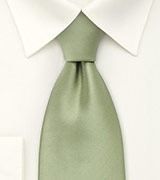 Again, you have many different choices in regard to the shape, the length or the material that the tie clip is made of. Remember that the material you choose makes a great difference to the overall appearance of the tie clip. The tie tack is very different in form and function from both the tie bar and the tie clip. As you can see on the picture on the left, a complete tie tack is made up of two different parts: The decorative part, the pin, on the left and the back, or base, with a chain attached to it on the right. 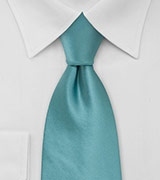 To don a tie tack, you have to remove the pin from its base, then pierce through the silk cloth of your tie, connect the base to the pin again and then slip the metal weight and chain through one of the button holes of your dress shirt. Tie tacks, or rather their pins, come in many different forms, too. Instead of a colored stone up front, I have seen some more creative ones with police badges, flags or company logos. Due to the permanent damage a tie tack does to your ties, I would like to caution its use, though. The tie chain is yet another tie restraining device to ensure that your tie remains in place at all times. 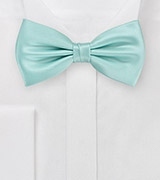 The fixed upper part of the tie chain, the bar, is hooked to one of the buttons of your dress shirt and then the tie is put through the chain’s loop in such a fashion that the bar is hidden behind the tie and the chain is visible in the front. Most tie chains are made of gold or silver and most often do not differ much in form or shape from the example shown on the left. The tie strap is a restraining device that was introduced relatively recently. 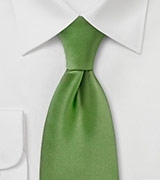 It keeps your tie in place without restricting its vertical movement. 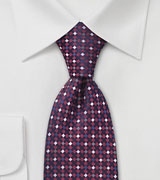 The tie strap works by slipping it through the label loop on the back of your tie and then by buttoning it onto your shirt buttons above and below the label loop. 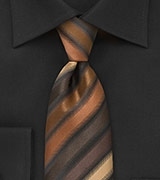 Unlike the other tie accessories, this one is most often made from either cloth or transparent plastics, making it virtually invisible in the latter case. Even though whatever type of necktie accessory you choose is eventually up to you, I would recommend using a tie bar or a tie strap. Why? Partly because they really do a wonderful job at holding your tie in place at all times but also because they do not do the kind of damage that a tie clip could possibly and a tie tack will definitely do to your tie. 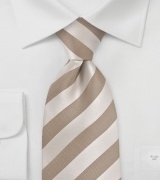 Moreover, a tie bar or a tie strap is also much lighter in weight than any tie chain I have come across. Check out Giftwagon’s great offers on necktie accessories if you are thinking about buying a tie bar, tie clip, tie tack or tie chain. Or pay a visit to Tie Align if you are interested in getting yourself a tie strap!